If you have been following me on Instagram or Facebook, you know I’m struggling to lose weight. It’s like every 2-3 months, the scale goes up another 10lbs. I know what I’m doing wrong, and it’s so difficult for my brain to refuse those certain things (ie: Coca-Cola and Hawaiian Rolls). However, I have decided to put 100% of myself into my weight loss journey after I return from my vacation in Orlando, Florida. Of course, you can’t work out in your regular clothes. I mean, you can…but that’s rather uncomfortable, and I’d rather not stink up shirts and pants that I wear outside of the gym. Aurorae Yoga has a few awesome yoga apparel products that I’ve been dying to try out, and I actually got to review their Capri Yoga/Running Pants. If you remember, I actually reviewed their “Synergy” Yoga Mat-Towel Combination and Lavender Meditative Mist. I do have to say straight off – I’m currently unable to (comfortably) fit into these pants due to my weight gain, which I’m quite upset about. I absolutely love the design of these pants, as I’ve seen similar pants on Tumblr that I’ve adored. Instead of tossing them into the box that I have for when I get smaller, I decided to hang them up on my wall as a reminder to why I’m losing the weight. 42lbs to be exact (that’ll put me down to 120lbs). I would be lying if I said that the #1 reason for wanting to lose weight is for my health. I want to look good and feel good in the clothes that I wear, and honestly, this past year – I have been able to do so. 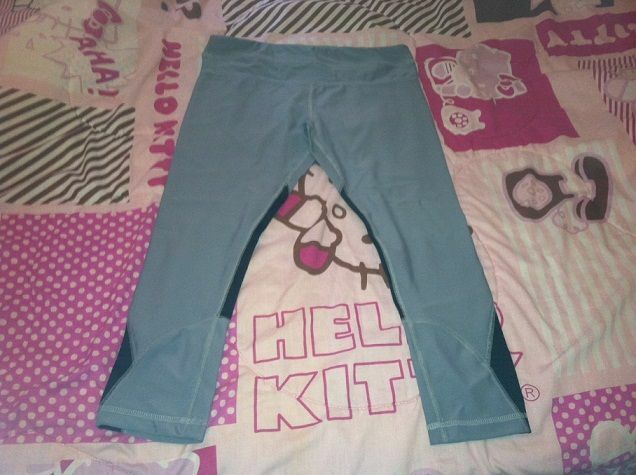 But, back to the super cute Capri Yoga/Running Pants from Aurorae Yoga. Even though I have gained weight, I still enjoy being active. I still participate in races and runs. 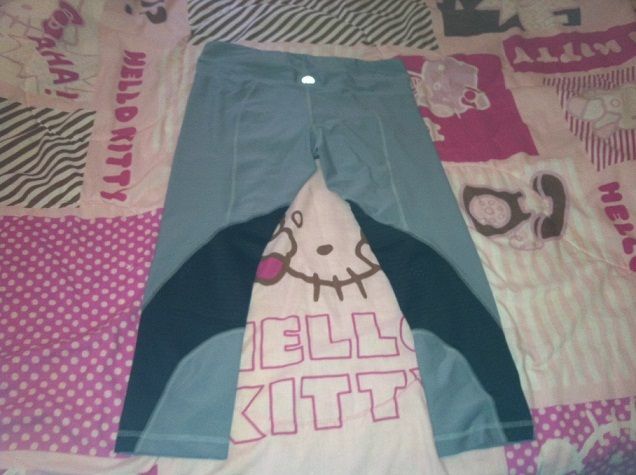 These pants are absolutely perfect for both yoga and running. They are available in black, grey and black combo. These pants are quite stretchy, but don’t let the looks fool you – the fabric is actually breathable, which you usually don’t find in tighter-fitting yoga pants. These yoga pants grip and contour to your body, so it’s able to move with you. I absolutely cannot wait til I’m able to fit into these pants (probably after I lose 10lbs). When that day comes, I will update this post with how I look in them. You can purchase the Cropped Yoga Pants from Aurorae Yoga for $42.99. Stay connected with Aurorae Yoga via Facebook, Twitter and Pinterest.